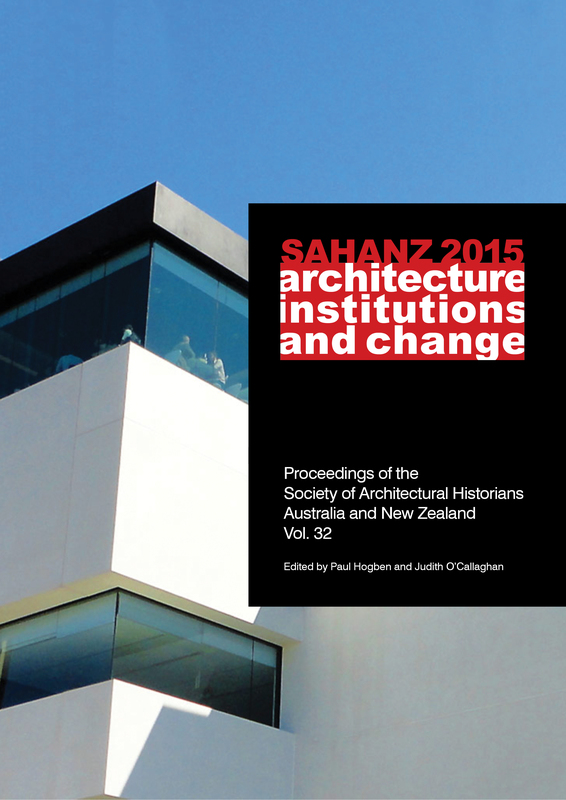 SAHANZ 2015 | architecture, institutions, change. During the 1960s and 1970s, the probity and relevance of the institutional model in most areas of life were called into question. Of particular significance were Michel Foucault’s studies of forms of institutionalised care and organised supervision which he associated with the exercise of dominance, surveillance and control – famously represented in physical form by the Panopticon (Discipline and Punish, 1975). While alternative models were and have been sought, few institutions were totally disassembled or abandoned. In fact, many of those that weathered the storm, especially within the financial sector, appear to have become larger, more dominant and more powerful. Recent scrutiny of the abuses of power by religious clergy, politicians and corporate bodies has however lent impetus to the ongoing historical and theoretical investigation of institutions and how they operate. It is timely therefore to renew the discussion of the role and status of architecture in its relationship to the institutional realm, especially around questions of change and transformation. What ideals, principles and values have underpinned the architecture of institutional organisations and constructions in the past and have these changed in recent times? How has the role of architecture in the consolidation and exercise of institutionalised power and authority changed? 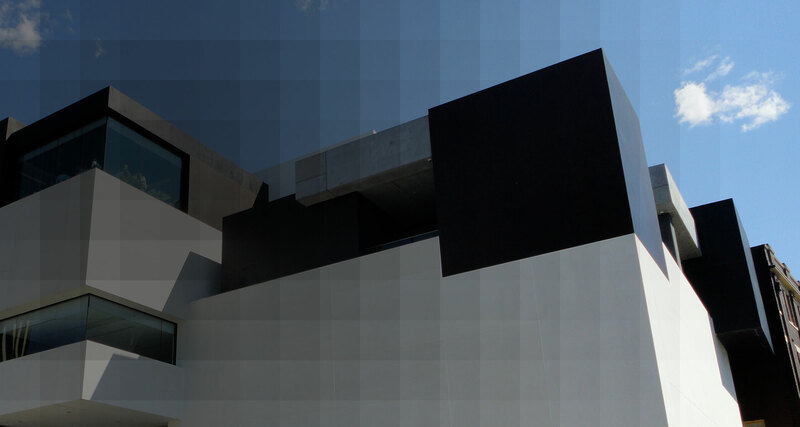 What role can architecture play in the reconceptualisation of institutions? The 32nd Annual Conference of the Society of Architectural Historians, Australia and New Zealand (SAHANZ) was devoted to the theme of architecture, institutions and change. The papers presented at the conference and published in its proceedings (see link below) examine various aspects and examples of this theme within different cultural contexts. Architecture in the service of the State is addressed through the study of government-sponsored and commissioned buildings and urban complexes such as hospitals, schools, university buildings and campuses, social housing, museums, theatres and expositions. The architecture of organised religion is given attention, from Catholic missionary buildings to heritage-related issues. There is an interest in the institutions of architecture and the architectural profession with a focus on education, disciplinary interaction and modes of professional organisation, involvement and acknowledgement. There is also a strong interest in spatial experimentation and the formation of alternative approaches to institutional models, especially within the fields of education, housing and house design. The making of public space and the politicisation of public memorials are discussed, along with many other topics, all resulting in what is a valuable compendium of research into the conference theme. We would like to thank all those who contributed to the success of the conference and the production of its proceedings. 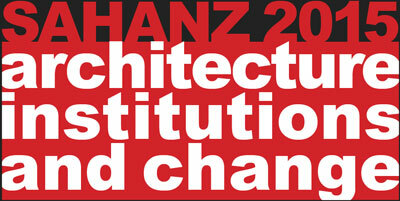 The SAHANZ 2015 conference theme, devoted to the exploration of architecture and institutions, has a number of sub-themes. This paper will address three of the sub-themes: architecture and the state, architecture and the concept of public good, and the profession of architecture. It will do so through the lens of my recent experiences over an eleven-year period as government architect in two Australian states, Western Australia and Victoria. As a result, the paper will be practice-focused rather than academic-focused. It will argue that, as a result of evolving strategies used by the state in the procurement of building projects, there are changes to the way buildings are designed and constructed, and there is a need to understand the nature and consequences of these changes when placing the buildings historically, contextually and within a theoretical framework. Geoffrey London is the former Government Architect of Victoria, having also been the Government Architect of Western Australia. He shared these roles with his continuing position as Professor of Architecture at the University of Western Australia where he is a past Dean and Head of School. He is also a Professorial Fellow at the University of Melbourne. He has been involved in advising the State Governments of Western Australia and Victoria on a wide range of projects, from the scale of individual housing to the complexity of major new tertiary hospitals. He has advised on issues such as design quality, design review, project procurement, heritage, master planning, sustainability, and development strategies, and been responsible for setting up design workshops on key, large-scale projects. Professor London has chaired or been a member of a large number of architectural competition juries. He has also advised on architectural competitions and has maintained a role as a consultant on urban design and architecture. Key research interests lie in project procurement processes that enable and protect design quality, especially within the field of housing. Both the practice and the history of architecture are based on deeply materialist premises: that in some way, the physical environment affects, and can even be used to shape, human values and human behaviour. The carceral institutions of the Enlightenment, thrown into such disrepute by Michel Foucault, were built on materialist premises. Foucault’s reliance on Jeremy Bentham’s panopticon, however, has skewed our understanding of these building types, which in fact were more varied than scholars commonly recognise, and which were often built in explicit opposition to the panopticon type. Moreover, common spatial forms were often used for a variety of purposes. My talk will discuss a familiar form – the penitentiary – in an unfamiliar context: that of spaces designed for voluntary self-improvement in the first half of the nineteenth century, primarily in the United States. It will conclude by considering the twentieth-century legacies of these nineteenth-century practices. Dell Upton is Professor and Chair of Art History at UCLA and Professor Emeritus of Architecture, UC Berkeley. He is a historian of architecture, material culture, and cities with a focus both on the United States and on the global scene. His books include Another City: Urban Life and Urban Spaces in the New American Republic (2008) and Architecture in the United States (1998), a volume in the Oxford History of Art series, as well as Holy Things and Profane: Anglican Parish Churches in Colonial Virginia (1986) and Madaline: Love and Survival in Antebellum New Orleans (1996). Professor Upton has had a longstanding interest in African-American history, architecture and material culture. Early in his career he studied landscapes of slavery. In recent years, he has been more interested in the urban and rural landscapes of the post-emancipation period. What Can and Can’t Be Said: Race, Uplift, and Monument Building in the Contemporary South, a study of civil-rights and African-American history monuments, will be published by Yale University Press in 2015. Professor Upton is also working on a revised and enlarged edition of Architecture in the United States.